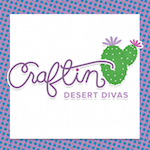 Today starts the September stamp release at Craftin Desert Divas . We have six new stamp sets in this release. 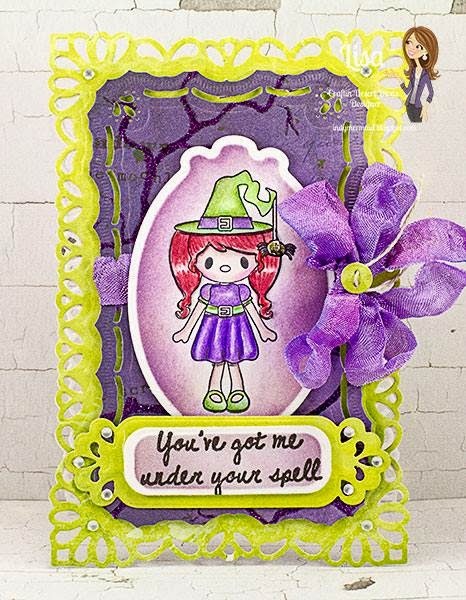 We will be sharing with you sneak peeks from 2 different stamp sets a day. This release is Fall and Halloween inspired! SVG cut file that is FREE to you . There are a few specials during this release we want to share with you. code: September starting on Saturday. 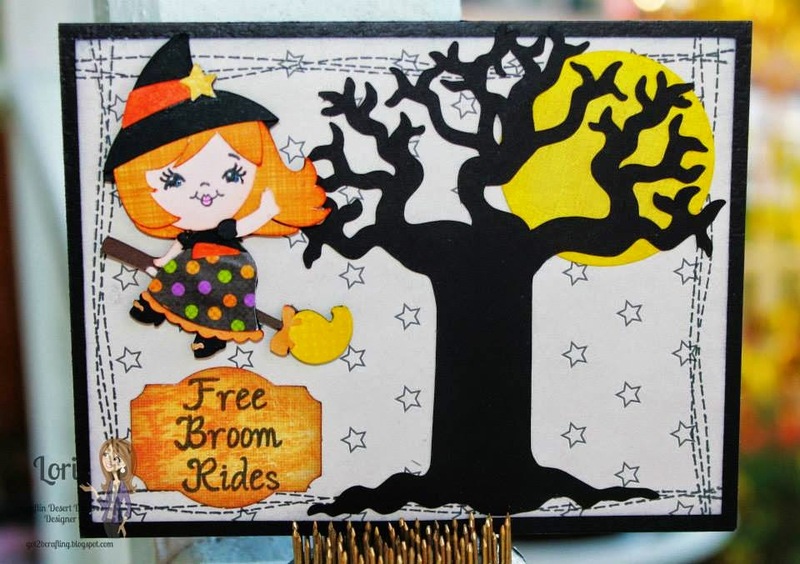 The free mini stamp & sale will end Sept. 30, 2014. 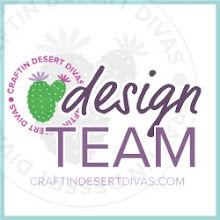 Welcome to Day 2 of Craftin Desert Divas September stamp release! Each day we will be giving you a sneak peek at two of the six new stamp sets. Then, on Saturday and Sunday, we will have a blog hop with prizes each day. There are some awesome creations being shared today during this stamp release. We also have some special guest designers who will be joining us. 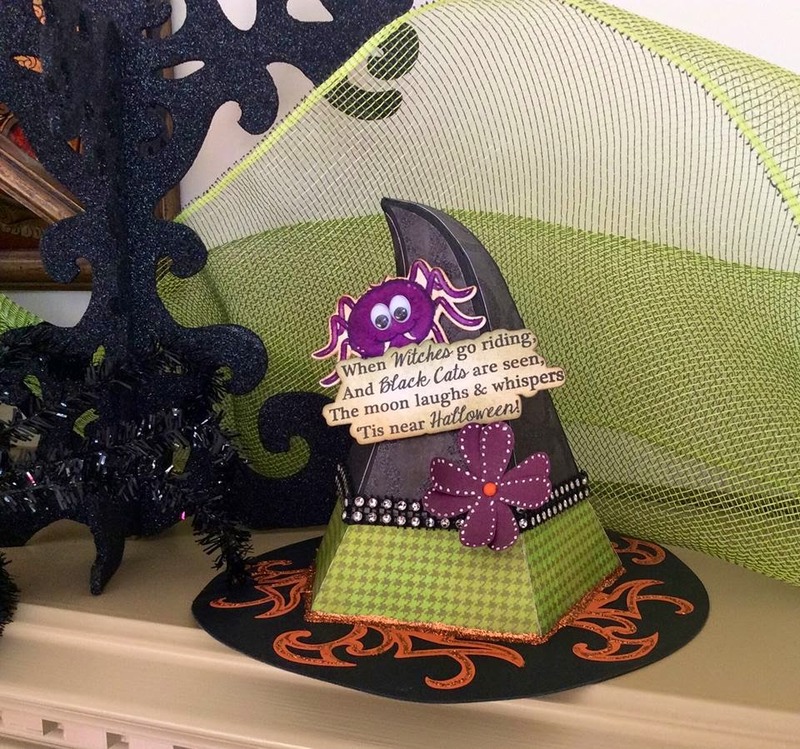 Are you ready for some more wonderfully wicked creations? Today's projects are amazing!!! Wonderfully Wicked is an Exclusive set from Too Cute by Jessica. 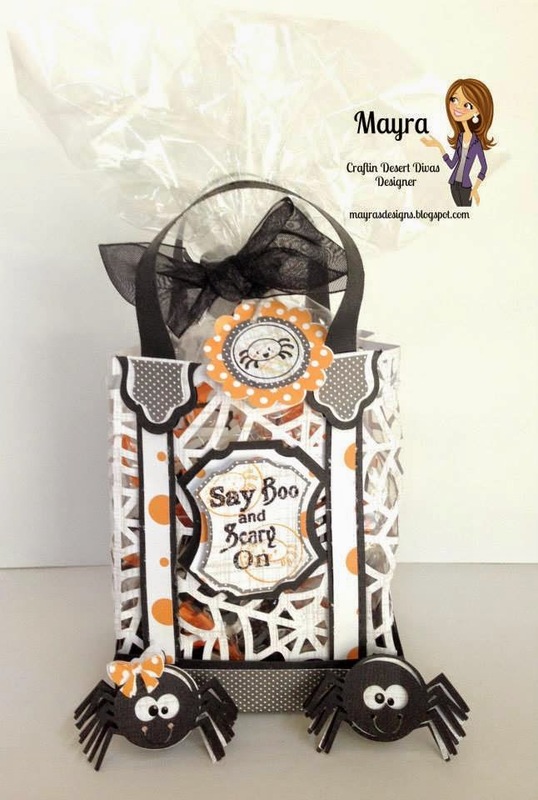 My first sneak peeks for today are 2 treat boxes I made using Ghostly Greetings for Madison & McKenzie. I got the boxes from the Silhouette Store. 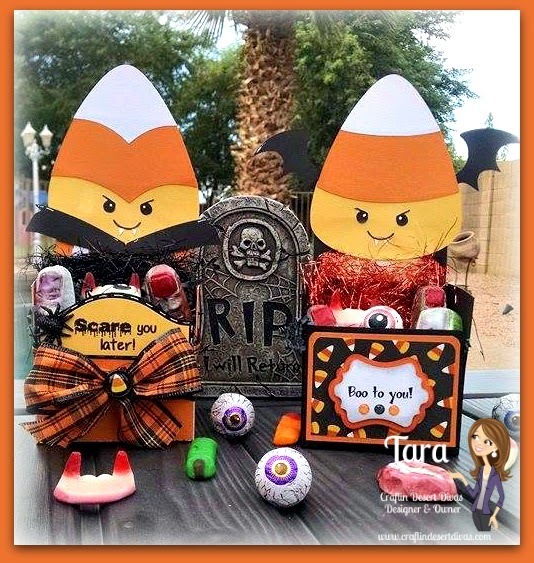 I used Too Cute By Jessica's Halloween Candy Corn which you can find HERE. I found this treat bag idea on Pinterest here. I loved the idea and made my own. Since I made the other two above for my twins, I made this one for my oldest Alivia. This was super quick and simple. It's made from a lunch sack. I put treats inside and folded it over and stapled it shut. I did put some Halloween trim for the ruffles on the dress. 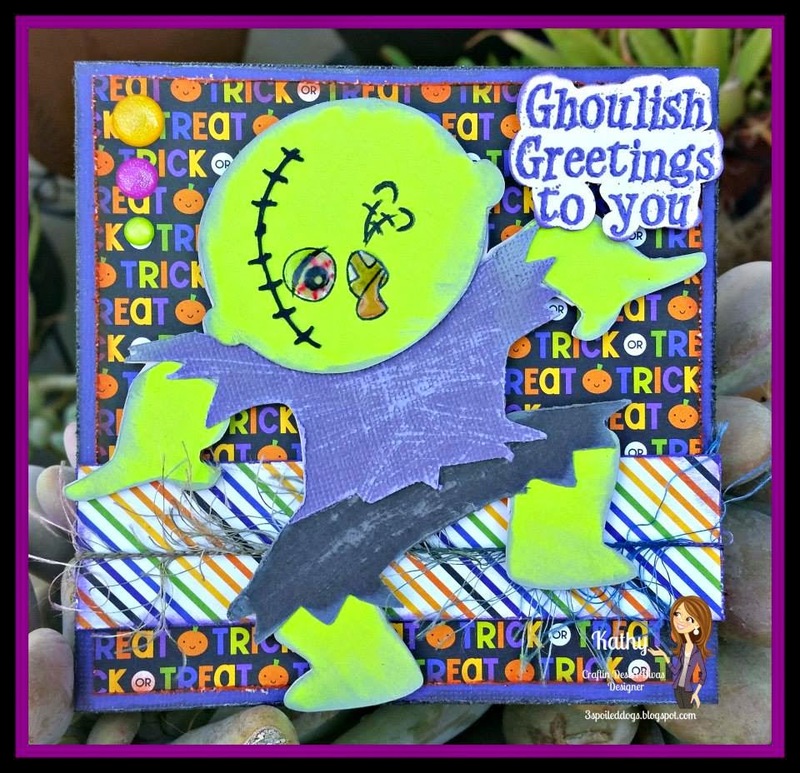 To finish it off I used some ribbon, Trendy Twine and of course a few sentiments from the CDD Wonderfully Wicked stamps!! I'm giving away a stamp set a day. Love the treat boxes and bag!!! They are all fabulous! You're girls are going to love them. They are so lucky to have a talented mom!!! Love your boxes but really love the bag that is so darn cute might have to make one too!! Both of your projects are awesome, Tara! All of the DT creations look amazing too! Your treat boxes are so adorable! 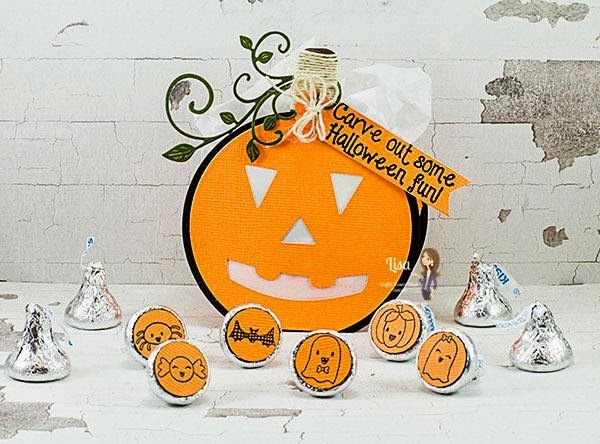 Love the candy corn and the faces are super cute! The kraft bag is so fun...love the trim and and ruffles on the dress to! Super cute sentiments...what a GREAT day of inspiration! Have a great day Tara! Looks like another fun release is on the way! Love the gohstly greetings! TFS have a wonderful day! All projects are Super cute and Totally fun!! These projects you created are perfect and sooo full of cuteness !!!! I adore both of them !!! I love both your projects! I have so many paper bags, I need to start using them more, so thanks for the idea on that! And yay! I was excited to see the winner was pulled from my blog comments!! These are so cute!!! 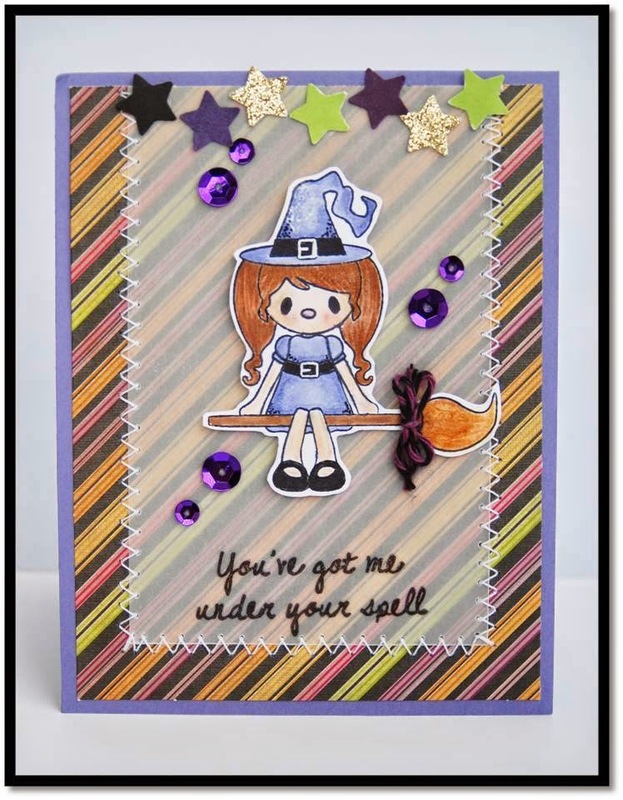 I LOVE the broomstick stamp!! Like both treat creations. I want to come treating at your house. Oh my goodness Tara! You always manage to make some amazing projects!! I'm sure all your girls are going to love these! 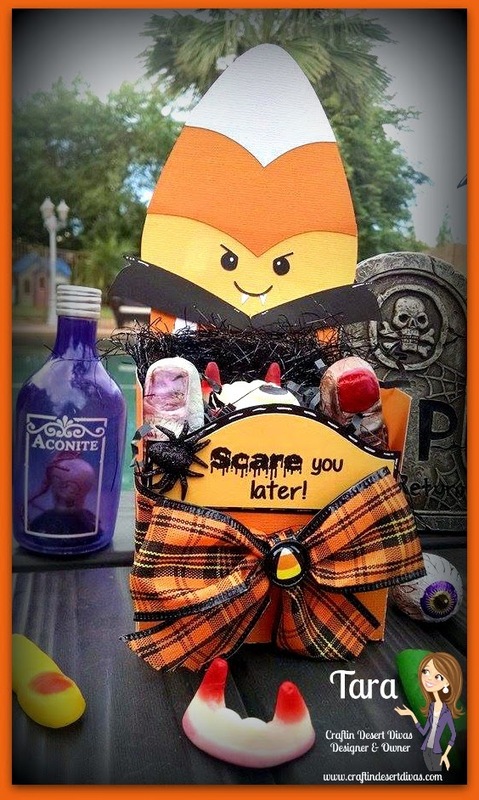 Those little candy corn treat holders are too cute for words! I just adore the witch legs and broom stick, those stamps fit so perfectly! Great projects! I love the witch skirt!!! 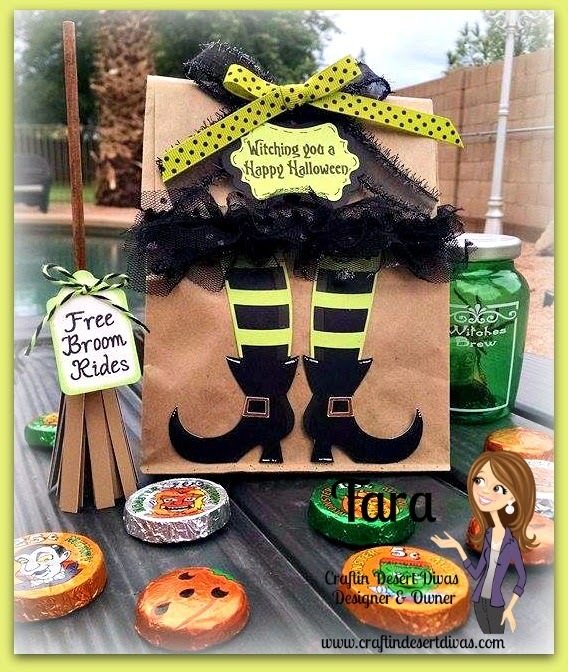 Hi Tara, I love your projects! I'm sure your kids will love them. Thank you for picking me as the winner for the first sneak peak. I will send you an email shortly. So excited tmthat I won because that's just going to help my mijo keep going lol. Have a great day! Awesome sneaks! Great projects by all! Tara I am totally smitten by your project!!! Another round of awesome projects by the DT. And I love both of yours. The stamp sets look great and I can hardly wait for Saturday!! I love both projects, but the lunch bag is my fav... I love using lunch bags for little gifts. Thank u for sharing!! Your projects are amazing!! Love the vampire candy corn!! 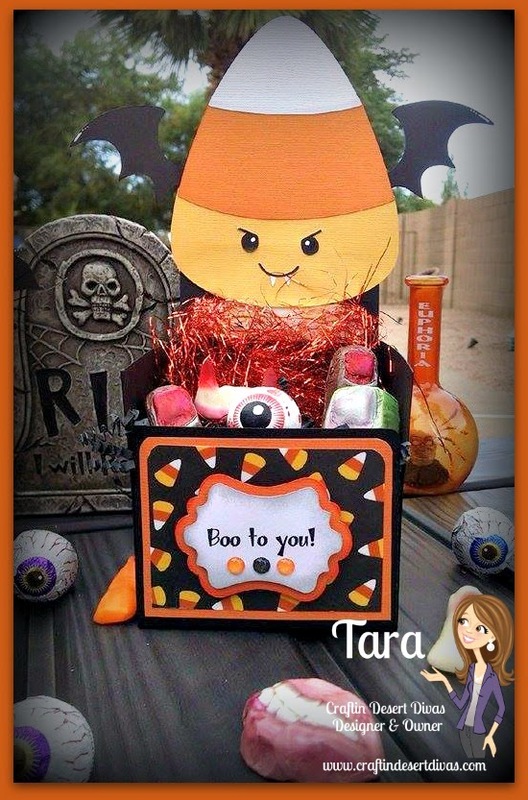 Your projects looks amazing Tara! The candy corn faces are absolutely adorable! 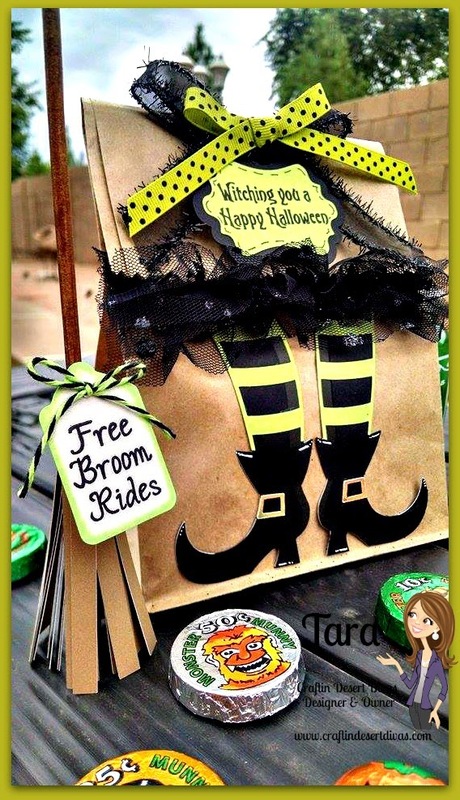 I just love the witch treat bag with all of those textures! Awesome release, loving all of the projects! Such clever projects! Love the new stamps and fabulous ideas! such a great idea for the lunch bag!!! Wish I worked so I could bring one there! LOL Fabulous sayings and projects!! Love your projects. They are so darn cute. Sneak Peak Day 2 projects were FABULOUS!!! I always love your projects. Love love love the sentiments for day 2. Thanks for sharing. Love your treat boxes and bag. Awesome projects from the DT! !